“In some ways, the most dangerous thing that can happen to true believers is to give them everything that they’re asking for and watch them fail.” So said Jeff Greason, president of XCOR Aerospace, in his talk Friday at the Space Access ’10 conference in Phoenix. While supporters of NewSpace might argue that they haven’t gotten everything they’ve wanted yet, clearly there is more interest in, and scrutiny of, the commercial space industry in general and entrepreneurial space ventures in particular. “I am both thrilled and terrified at the magnitude of the opportunity that is now facing our industry,” he said. 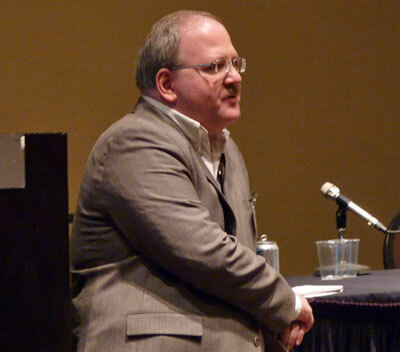 Greason, in a panel on key technologies the previous night at the conference, had expressed concerns about the decline of the American space industrial base, which he reiterated in his longer speech. “The dinosaurs are dying off faster than we can evolve to fill their niches,” he said, referencing an old analogy that likens the old space industry to dinosaurs and NewSpace to mammals. Greason has never launched a rocket and XCOR Aerospace is about as close to launching as Rotary Rocket. Maybe Jeff should call Bo and learn how to launch instead of talking about launching.